Thanks to guitarist John Frusciante, the Wu-Tang mastermind tells Mixtape Daily he's 'past' worrying about profit or critics. Beats by RZA for free? What's the catch? The super-producer has come a long way from charging 20 G's a session. 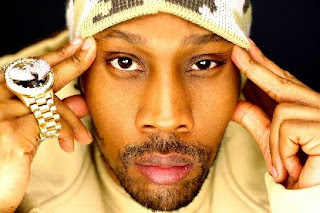 "Musically, I got a friend of mine that's given me a big musical lesson," RZA explained to us recently in NYC. "His name is John Frusciante from the [Red Hot] Chili Peppers. He said to me that he doesn't make music no more for profit or people. Those that like it, love it or don't love it — he doesn't worry about the critics. He has enough financial security that he doesn't have to never sell music again. I don't have the same security, because I got so many family members. I'm never gonna be rich enough." Still, with money coming from Hollywood, books and other ventures, the rap legend is letting the music flow freely, making dozens of records in 2009 just for his own enjoyment. "I go to [Frusciante's] house a lot and make music with him," RZA said. "We just make music. I've made 100 songs this year, and probably nobody won't hear them but us who made it. It feels good, yo. It feels good to do it with no strings attached. Not having to worry about if somebody is gonna criticize it, if it's gonna sell. I'm past that. That's a great place to be. I did a project recently with Damon Dash, the BlakRoc project with the Black Keys. He said, 'RZA, if you in town, come by the studio and hang out. I got a few guys that like you. Maybe y'all can do some music together.' I went through, we had a good vibe, did a little smoking. We just did music. It's coming out. I don't know who got paid, who did what. I got nothing. It's nothing for me. It's an expression of art. It feels good to do it that way. That's how we started out." Click HERE to see the article and watch the accompanying video.